Entertain in style with this elegant stainless steel serve ware set that includes a Serving Tray, Cocktail Shaker, Double Walled Ice Bucket with Lid, and 5-Piece bar tool set with stand. Our professional bar set includes all the tools needed to prepare a great cocktail. Keeping in mind the diverse requirements of our customers, we are involved in offering an extensive range of Copper Plated Bar Set. Walnut Wooden Carved Cocktail Bar. We provide a wide range of Cocktail Set that are known for their elegant style and enchanting designs and helps us in successfully meeting diverse requirements of our clients. These cocktail sets are available in variety of designs, patterns and sizes and are serves as drinking glasses in cocktail parties. 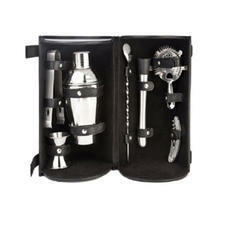 We offer these cocktail sets at most competitive prices. Glassware Service Sets are appreciated by our customers for their different designs, beautiful colors perfect finishing and various combinations. These find distinguished applications for residential purposes and hotels. Rose Basket 7 - 1 Pc. Acrylic handle - 1 Pc. 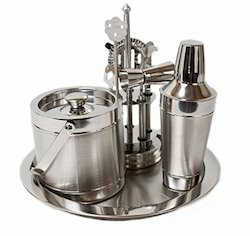 Being a leader in the industry, we are engaged in offering a qualitative range of Cocktail Accessories Set. We are involved in manufacturing and supplying Floral Beer Glasses that easily cater to the diverse needs of our customers nationwide. Available in attractive paint of coloured flowers, these glasses are commonly used for drinking beer. Appreciated for excellent finish and unmatched patterns, these glasses are in great demand. Buy Leonardo Red Cocktail Glass, Set of 6 by Leonardo (Germany) at houseproud.in. Browse and shop from a wide range of luxury, designer and vintage Cocktail & Liqueur Glasses. We manufacture cocktail bar furniture which are used in hotels and bars.